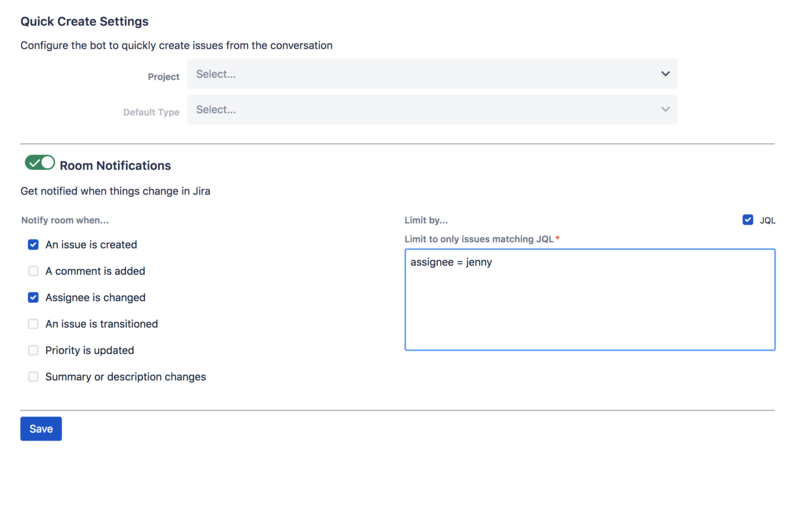 Jira Integration+ can message you when a Jira issue is assigned to you if you configure a notification via the channel configuration. Follow these simple instructions to get setup. Configure your direct message channel with the bot in the following way and save.